Sometimes it seems as though scandal is as much a part of the Hollywood scene as klieg lights and egotistical directors. The studio bosses often feared that skeletons found in the closet could ruin the investment they made in their brightest stars. Quite often, a few juicy rumors would delight the public and make them feel closer to their favorite stars. 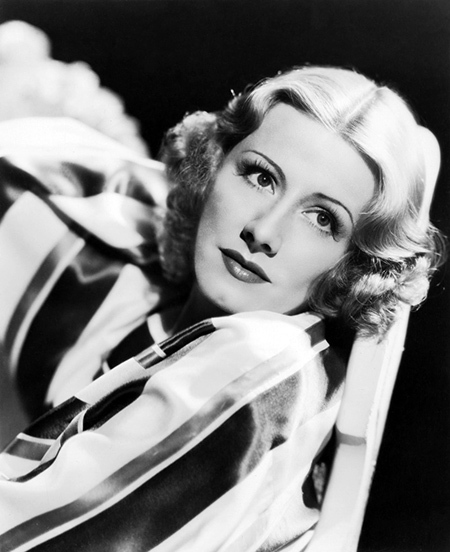 Remarkably, Irene Dunne managed to become movie royalty with a career which was seemingly never touched by scandal. Part of the reason may be that for all of her 91 years, Irene believed that being happy was more important than being famous. Her widowed mother, a concert pianist and music teacher, moved the small family to her hometown of Madison, Indiana, to be near her father, who built steamboat boilers. Irene enjoyed an idyllic teenage life and graduated from the Indianapolis Conservatory of Music. On a whim, she applied for a scholarship to the Chicago College of Music and was accepted. She dreamed of becoming an opera singer, but after failing an audition to the Met she decided to accept her “limitations” and focused on musical comedy. While working in New York during the roaring Twenties, she met her future husband, dentist Frank Griffin, at a supper dance. Although they fell madly in love, Frank was strongly opposed to having a wife in the theater. Irene planned to give up the stage after they were married in 1927, but she was back on Broadway early the next year. Given Irene's family background in the riverboat industry, it is not surprising that she was cast in the touring company of Showboat during the 1929/30 season. This brought her to the attention of RKO talent scouts, who offered her not only leading lady roles, but a huge salary. In fact, she was nominated for the Best Actress Oscar for her second film, Cimarron (1930). The only problem was that Frank's practice was in New York while Hollywood was on the other coast. Thinking that the movie career would not last, Frank continued his practice for five more years, while rumors swirled that Irene Dunne's marriage was on the rocks. In fact, while she was working almost constantly, she was also running up a huge long distance telephone bill as well as having a clause in her RKO contract which gave her a break after each picture to to spend time in New York with her husband. In 1936, the couple conceded to success. Frank gave up his dental practice, the couple adopted a daughter, Mary Frances, from the New York Foundling Hospital, and built a plantation style mansion in Holmby Hills. Irene reprised her role as Magnolia in what would become the definitive film version of Showboat and established herself as a comedic actress with Theodora Goes Wild. 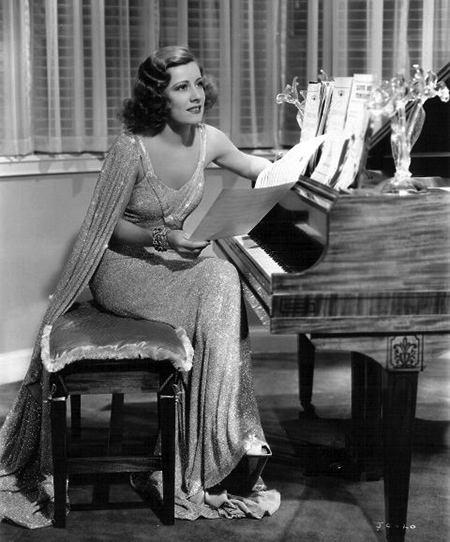 Irene Dunne appeared on several of the radio movie anthologies in her own roles as well as playing parts created by other actresses. She stood before the microphone of Lux Radio Theater, Screen Directors Playhouse, The Screen Guild Theater, Cavalcade of America and The Hallmark Playhouse as well as several original productions for Family Theater. By 1952, Irene “drifted out of acting”. She no longer appeared in feature films, although she did appear on a few TV anthology programs until 1962. After retiring from pictures, she followed the lead of her Holmby Hills neighbors, Humphrey Bogart and Lauren Bacall, and signed on with Ziv Syndications to create a radio drama. The Bogarts would go on to make $600,000 for their son's trust fund with Bold Venture, while Dunne and costar Fred MacMurray were to earn $300,000 each for their work on Bright Star. As lucrative as the series were for the movie stars, the real winners were Ziv and his sponsors across the country. Syndication meant that local businesses could attach their names to high quality radio programming, while the use of A-list movie people would bring immediate favorable press reviews and name recognition. The movie actors who were accustomed to early calls to the set for makeup and innumerable takes for technical considerations delighted in the low key atmosphere of radio production. The Bogarts even had a small studio constructed in their home to support the work. 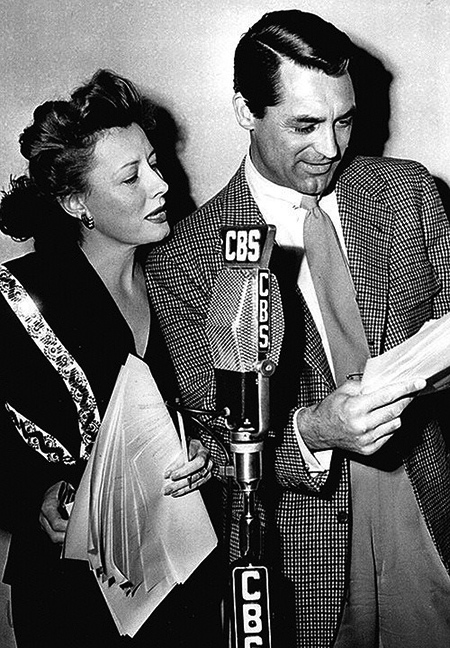 Neither MacMurray nor Irene Dunne had worked on a radio series, and both confessed to experiencing “mic-fright”. Bright Star (sometimes billed as The Irene Dunne-Fred MacMurray Show) placed Irene as a city newspaper editor and MacMurray as her protective star reporter. Although neither these roles were as intriguing as Slade Shannon or Sailor Duvall from Bold Venture, they were exactly the sort of characters audiences expected from these two stars. A Star on the Hollywood Walk of Fame at 6440 Hollywood Blvd commemorates Irene Dunn's contributions to Motion Pictures. You were the first old time radio I found... I’m just so glad most CD players also play the mp3 cds now!